Gemäß der Erstbeschreibung der Art aus dem Osten der Türkei (KEMAL & KOÇAK (2017)) war die Nahrung der Raupe zunächst unbekannt. 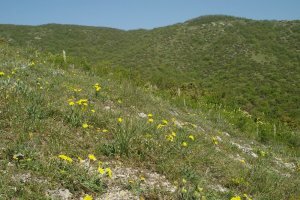 SAVCHUK & KAJGORODOVA (2018) können hingegen schon kurz darauf für die Krim berichten: "Under natural conditions, the larvae were found on Scorzonera crispa M. Bieb. 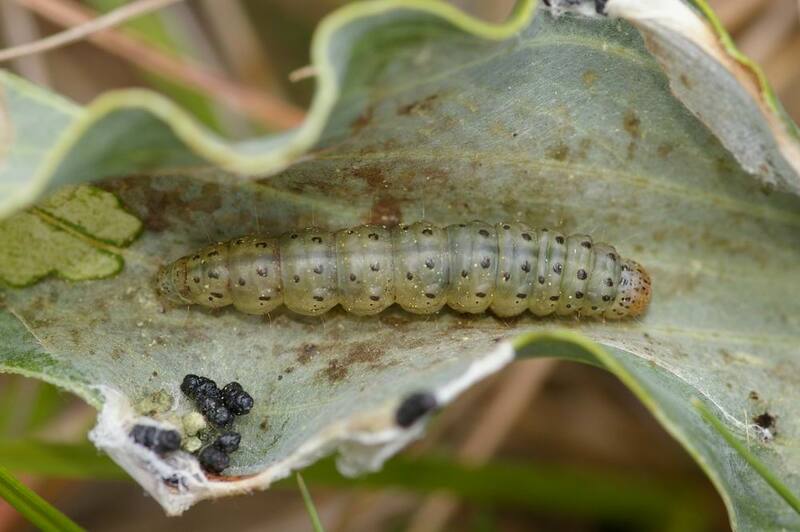 We did not find any early-instar larvae. 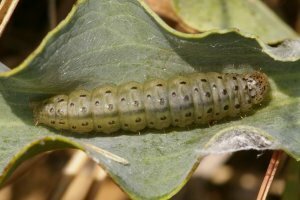 The last-instar larvae live concealed in leaves spun into tubes around the central vein. Such shelter is laid with silk on the inside. 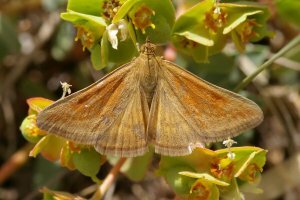 The feeding damage was also recorded on the leaves of the host plant. 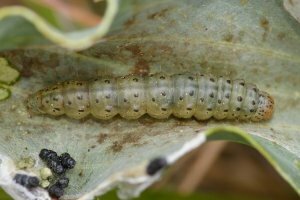 Collected larvae ceased feeding between the end of July and early August. 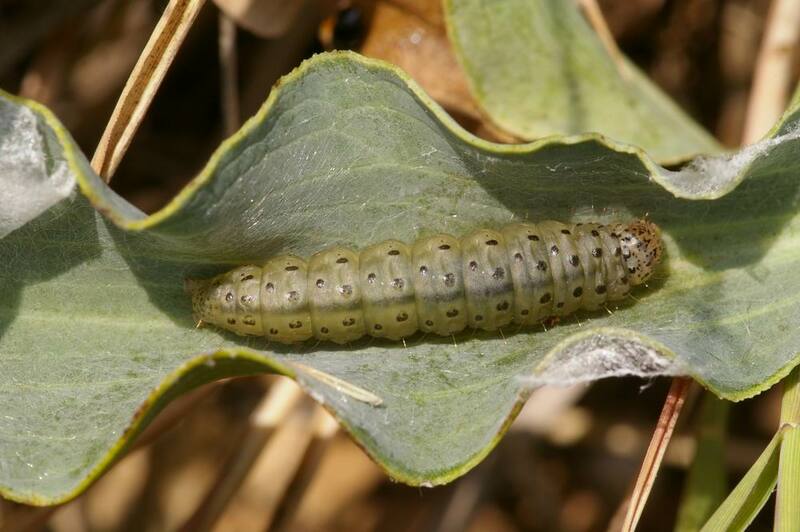 Fully grown caterpillars make thin white tubular cocoons in the soil, 30–35 mm in length (Fig. 12), in which they hibernate until spring, and pupate afterwards. 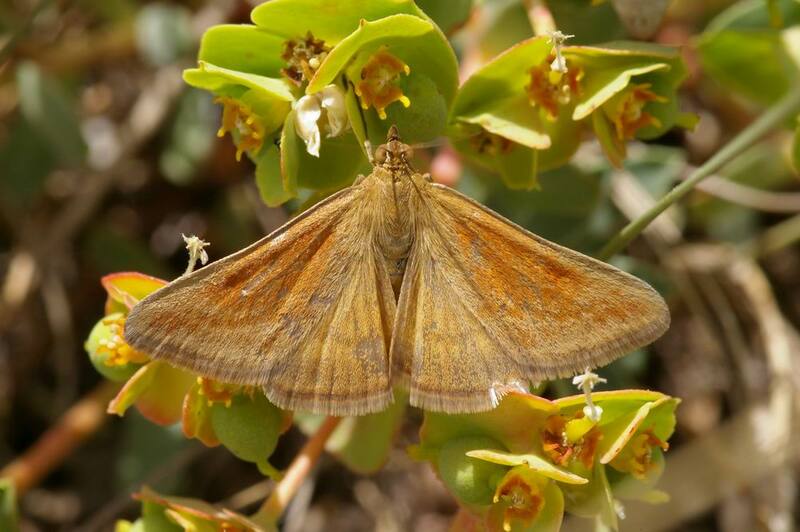 In captivity, the pupation took place in May, with adults emerging in early June." 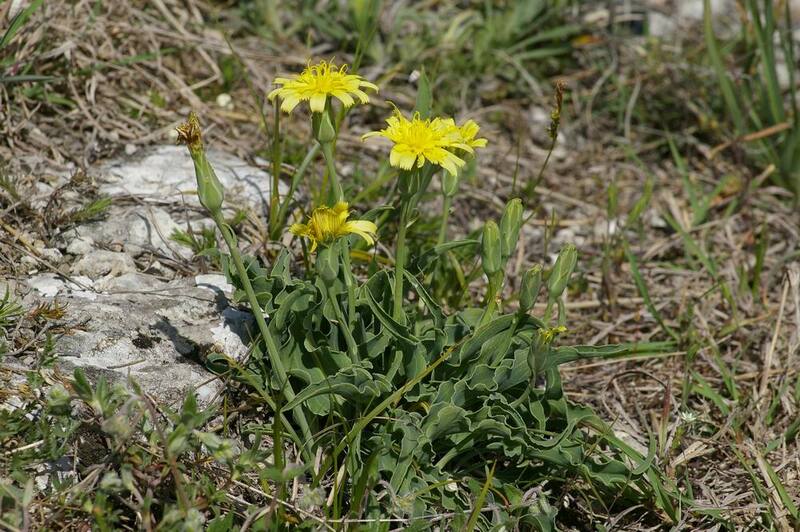 Scorzonera crispa wird in der Flora Europaea, Volume 4 (TUTIN et al. 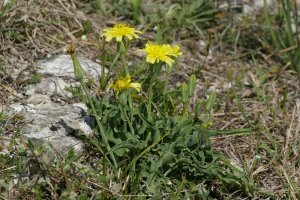 2010) noch als Scorzonera austriaca ssp. crispa geführt und soll demnach in Europa nur auf der Krim vorkommen. Die Namensvergabe ist zumindest ungewöhnlich. Vielleicht darf man hier eine politische Solidarisierung mit dem Volk der Uiguren hineininterpretieren. 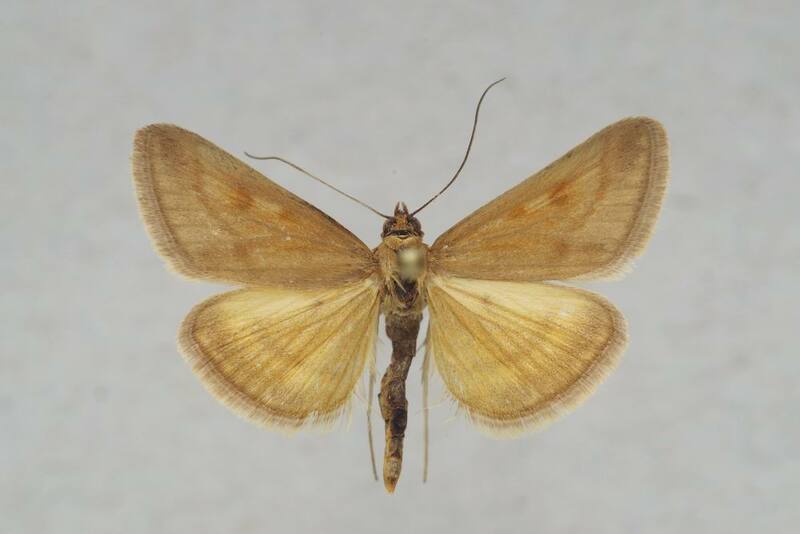 Jedenfalls erläutern KEMAL & KOÇAK (2017): “The scientific name of this new species is dedicated to Mrs. Ayhan Turdi (1882-1942), nickname “Ayhan Ana”. She was born in a wealthy and educated family in Kuldja (Uighur A.R.) Her father provided Ayhan’s training in one of the innovative school. This educational opportunity has been influential in her growing up as one of the contemporary intellectual thinkers. After her father, she lost her mother and her beloved partner in a row, never married again. She has opened up a 16-room house for orphans as a boarding school for all their expenses. This school was known as “Hayriye Mektebi [Beneficial School] at that time and “Ayhan Ana [mother] School”, which is known as Ayhan Ana name among the public day by day […] This school, which has undertaken important tasks in educational services, has been a science nest for tens of thousands of children and still works actively”. 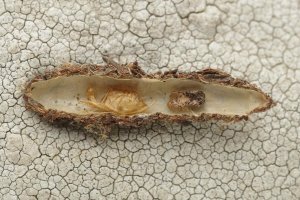 Die Art wurde erst 2017 nach 3 Männchen aus der Osttürkei beschrieben; locus typicus ist Çatak, Darboðaz 2050m in der Van Provinz. SAVCHUK & KAJGORODOVA (2018) wiesen Falter und Raupen an 5 Fundorten auf der Krim nach. 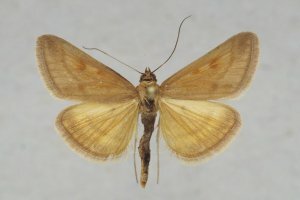 KEMAL & KOÇAK (2017) berichten: "Holotype ♂, East Turkey, Van Pr. 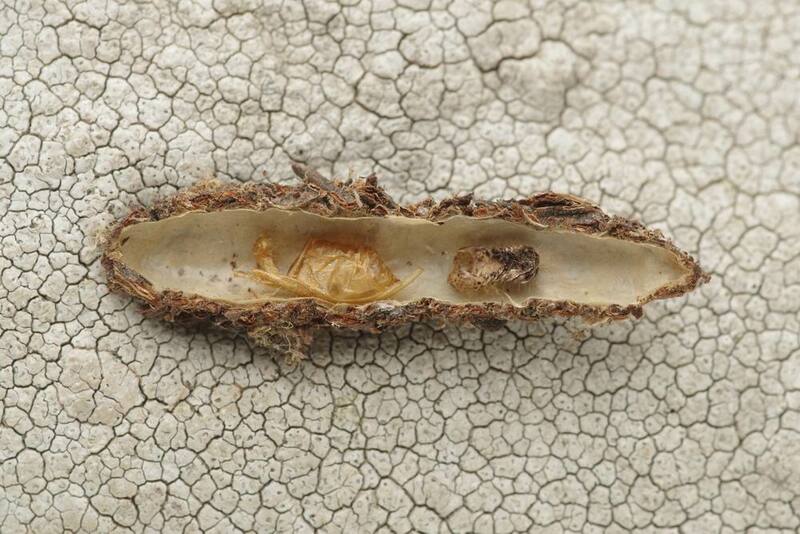 Çatak, Darboðaz 2050m (65 Dg), 8 6 2015; Paratypes: 1 ♂ from same place, 2030m, 30 6 2016; 1 ♂ from Bahçesaray, Upper Mukus valley 1840m (65Am4), 23 6 2016, M. Kemal & A. Koçak leg. […]. 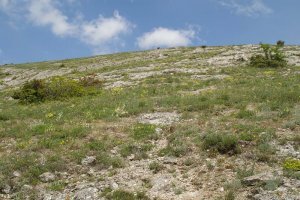 Biorepository: CESA”. 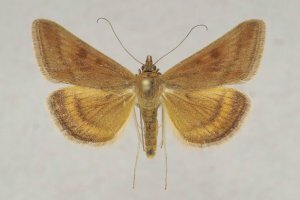 Erstbeschreibung: KEMAL, M. & A. Ö. KOÇAK (2017): Description of a new species, Loxostege ayhanana sp. 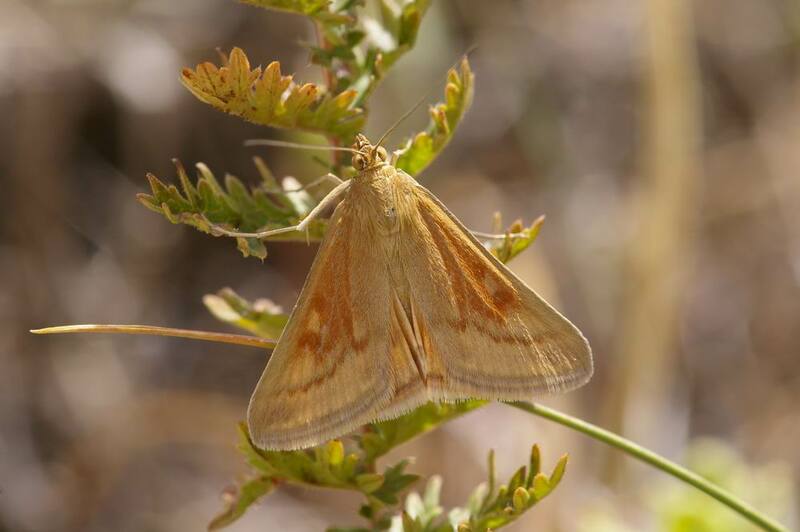 n. from East Turkey (Lepidoptera, Pyraloidea).  Miscellaneous Papers (Centre for Entomological Studies Ankara) 164: 1-5 [Digitalisat auf archive.org]. 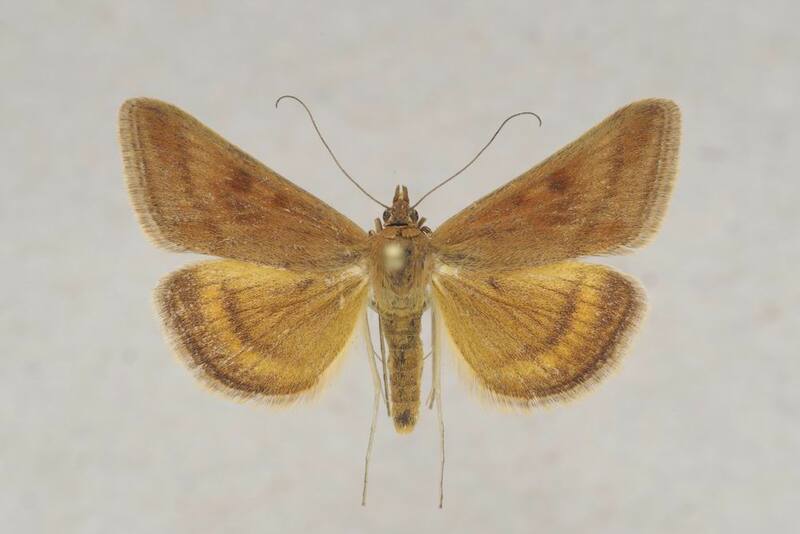 SAVCHUK, V. V. & N. S. KAJGORODOVA (2018): The first record of Loxostege ayhanana Kemal et Koçak, 2017 (Lepidoptera: Crambidae) from the Europe, with notes on its bionomy. 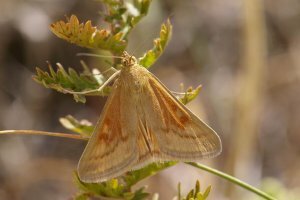  Кавказский Энтомологический Бюллетень 14 (1): 83-85 [PDF auf lepidoptera.crimea.ua]. TUTIN, T.G., HEYWOOD, V.H., BURGES, N.A., MOORE, D.M., VALENTINE, D.H. WALTERS, S.M. & D.A. WEBB [ed.] 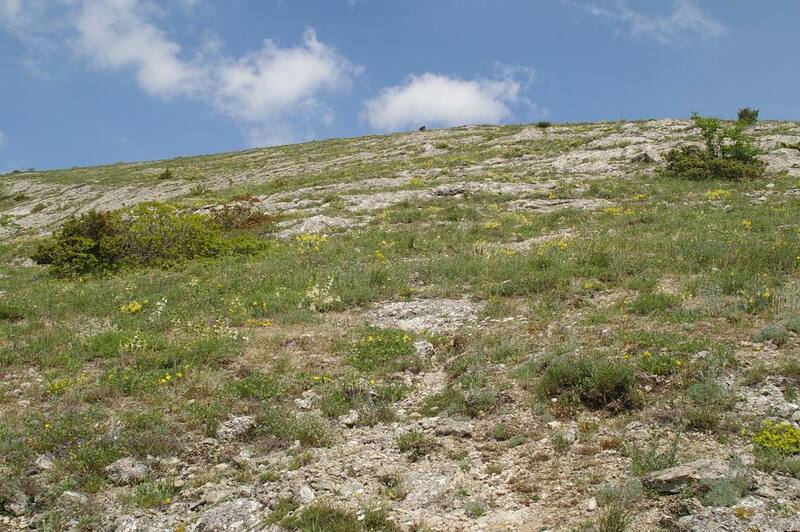 (2010): Flora Europaea. Volume 4. Plantaginaceae to Compositae (and Rubiaceae). [first published 1976, sixth printing 2006, first paperback printing 2010]. - 505 p.; Cambridge (Cambridge University Press).